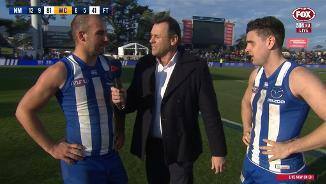 Paul Ahern admits he had things to work on in the VFL in order to win back his spot in the senior side. 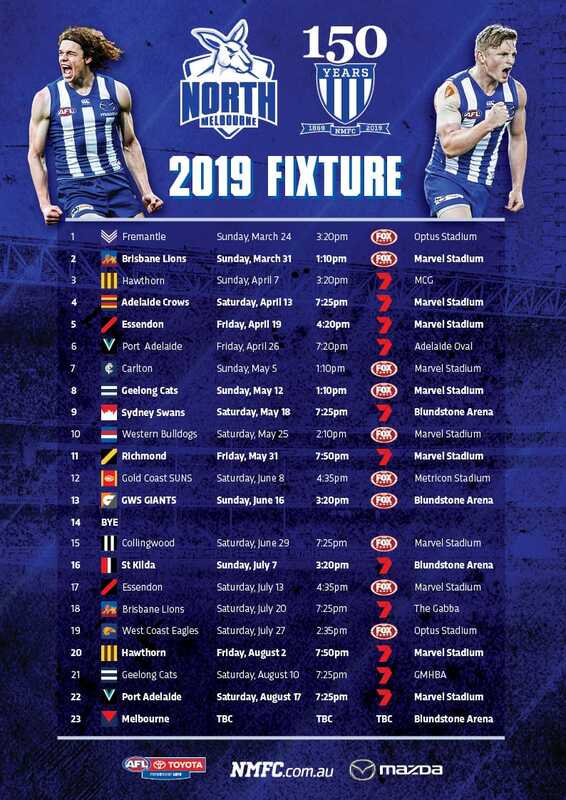 Paul Ahern has taken another step forward in his quest to secure a regular spot in North Melbourne’s side. Ahern was selected in the NAB AFL Under-18 All Australian team after some strong performances for Vic Metro in 2014. The hard-running midfielder impressed with the Giants' NEAFL side in 2015, and was a close to making a debut. 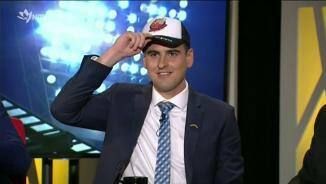 A knee injury sidelined Ahern for six months at the start of 2016, and he underwent a second reconstruction in September. Ahern is expected to miss much of the 2017 season, but began running in January. 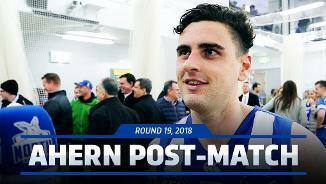 It was a long time coming, but after three seasons and two ACL injuries, Paul Ahern made his long awaited debut in Round 11. 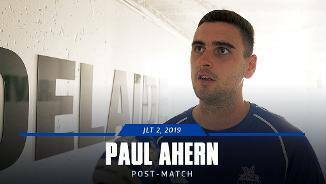 Ahern took little time settling in, showing the hard edge and impressive disposal which had fans excited about his potential since he arrived at the end of 2016. In Round 19, the midfielder collected an impressive 37 disposals against the Eagles, which is a testament to the hard work and determination he’s exhibited since being drafted in 2014. 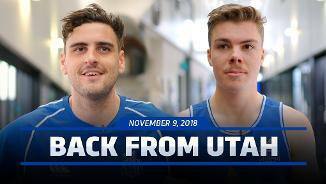 The 22-year-old made such an impression on the club, the Roos decided to offer Ahern a fresh contract until the end of 2020. Pick 7 for the GWS Giants in 2014, Paul Ahern is still waiting to make his AFL debut after two separate knee re-constructions. 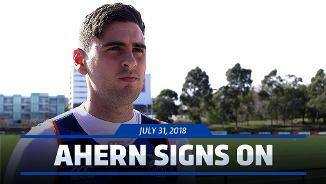 Traded to North for pick 69 at the end of 2016, 2018 will be Ahern’s second season with the club. 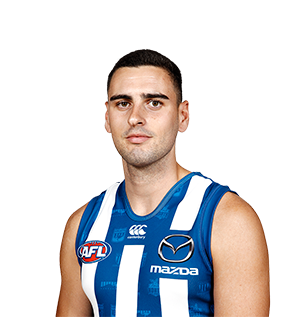 2017 was largely interrupted for Ahern as a result of his knee problems, with the 21-year-old not managing a game at any level.